Not everyone has the time or desire to wash their car regularly, and frequent trips to the automatic carwash can get expensive. Not only that, but repetitive runs through an automatic wash can remove wax and create swirl marks in the paint. If your car is covered in only a small amount of dirt or dust, a waterless carwash may be the handiest way to give it a quick cleanup. These premixed solutions typically come in a portable spray bottle, perfect for keeping in the garage or trunk. Simply spray the dirty areas of the car with the waterless carwash solution and wipe clean (preferably with a microfiber towel). Better still, do the entire car at the same time for a complete job. While a conventional wash is still the best way to clean the dirtiest rides, a waterless carwash is simpler, cheaper, less wasteful, and more convenient in a pinch. 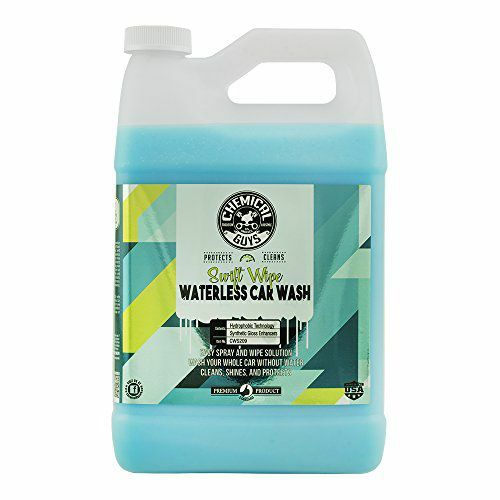 We tested all of these waterless carwash products in the Car and Driver garage on a variety of dirty cars and also cycled them into our regular photography routine, because we often need quick, on-the-spot cleanups. While we did rank these cleaning products–just as we rank the vehicles in our comparison tests–we found that all provided satisfactory results. There are subtle differences, but we would recommend any of them. At the end of this list, we also provide links to concentrates of the first two products in our rankings. These require dilution with water in a separate spray bottle, but they are cheaper per ounce than the premixed cleaners. 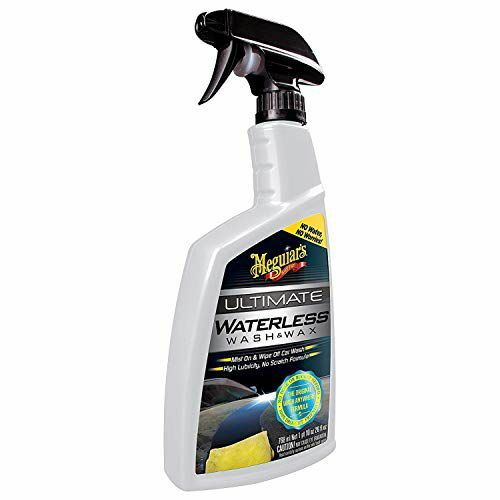 This is our favorite waterless carwash product. It not only cleans efficiently but also leaves a smooth, shiny, just-waxed feel, and it's reasonably priced. Our photographer noted that this bottle also had the strongest and widest spray nozzle. The smell was pleasant but not overwhelming. 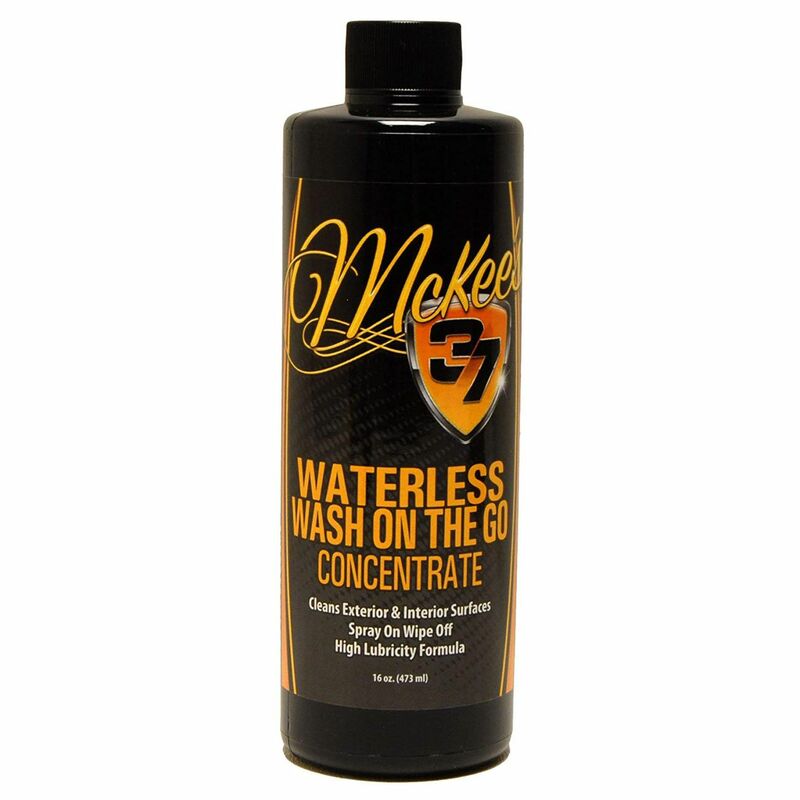 McKee's makes a point to clarify that its waterless carwash does not include wax, because it has found that wax products encourage paint scratches. This is a quick-drying liquid that leaves a semismooth finish and little to no streaking. We were impressed with how quickly it dried and how wide and evenly the bottle sprayed (it has multiple sprayer settings). Meguiar's has an entire suite of wash products that are affordable and work well, and its Ultimate Waterless Wash & Wax is what we use most often around Car and Driver. 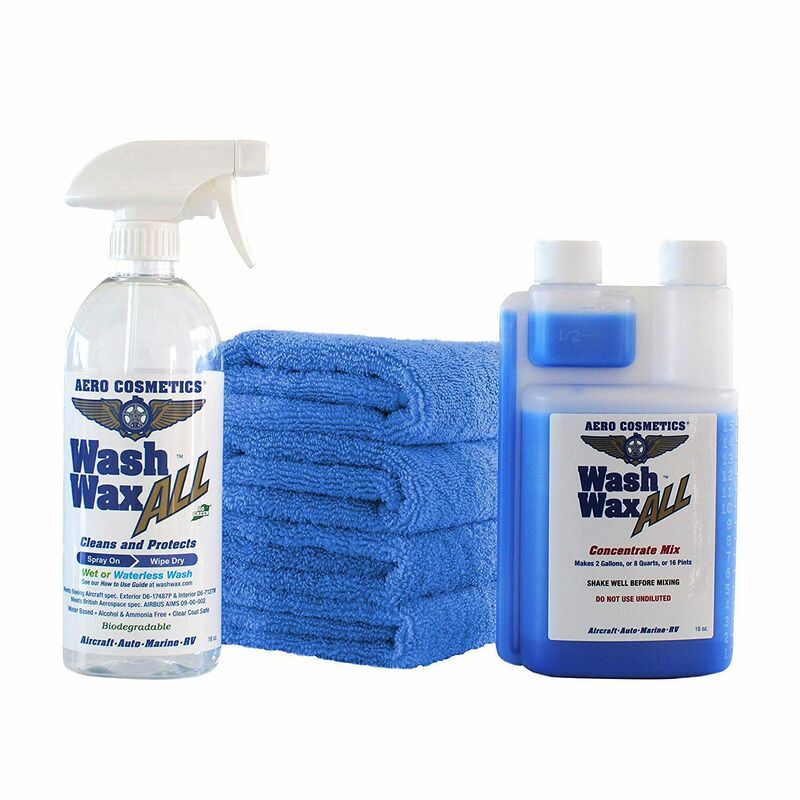 It's found in most auto-parts stores and supermarkets, and it leaves a clean look with little effort. It also has less odor than many of the other products–a pro or a con, depending on personal preference. 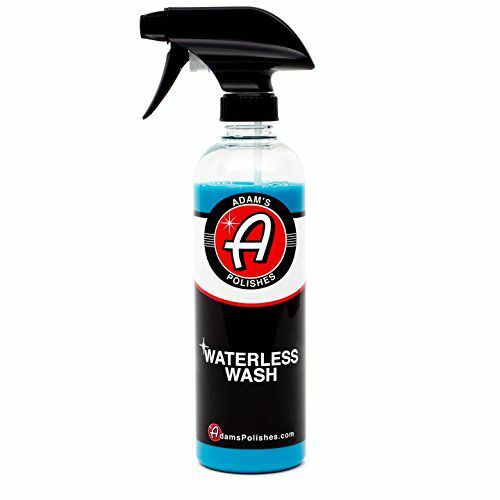 Adam's waterless carwash solution is also waxless. We had no complaints, but it also didn't stand out in any way. It did leave a better finish than the Mothers Waterless Wash & Wax (see below), however. 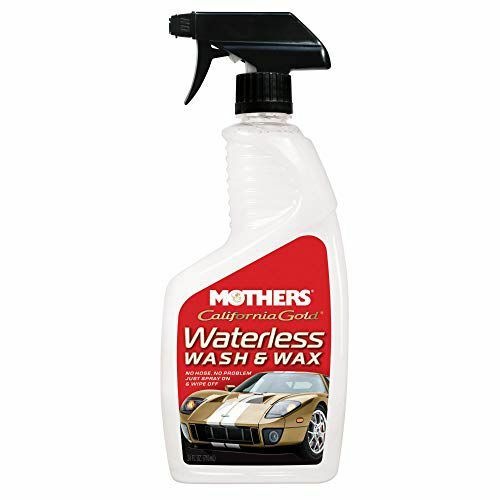 Mothers-brand waterless wash and wax was the least inspiring of the products we sampled. It left some streaks that needed to be rewiped, and it left a finish that wasn't as smooth as even some of the waxless products. It also smelled more like a conventional cleaning product than the other washes. Still, it resulted in a clean car, and that's the most important part. It helps that per ounce, it's the cheapest ready-to-use product here. This is the newest waterless carwash from Chemical Guys. 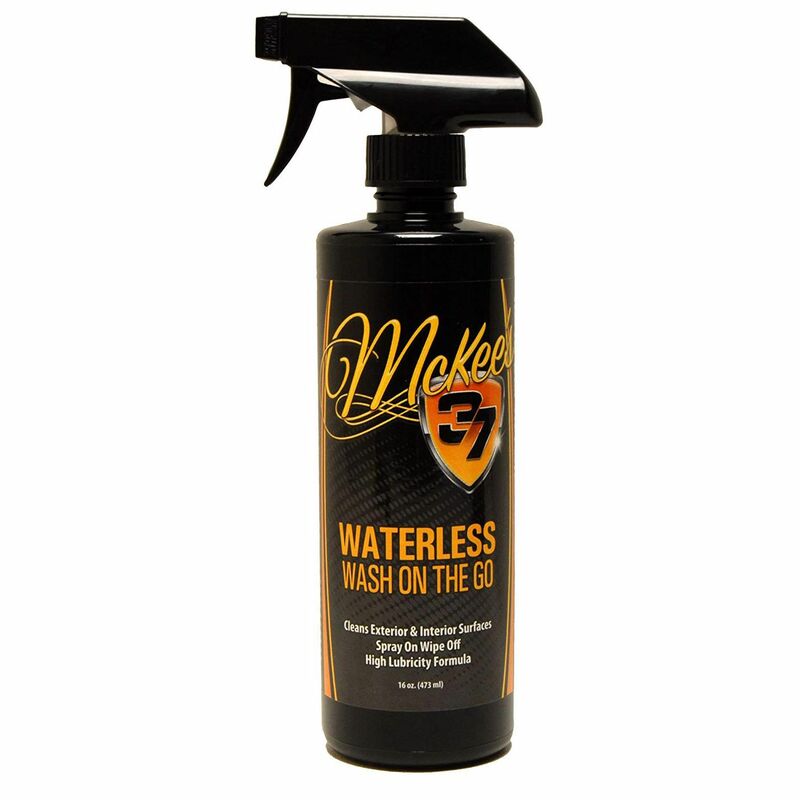 The company also sells a three-step waterless wash-and-wax solution that requires buffing but leaves a great shine. This two-step waxless solution provides a quick clean and has a strong sweet smell–some editors liken it to Skittles candy. However, the spray didn't evaporate as quickly as the other waxless products. The 16-ounce bottle was not for sale on Amazon at time of publishing, but this one-gallon container is filled with the same stuff and works with refillable sprayers. The 16-ounce bottles of this solution can be found for around $12 (just not on Amazon at this time). 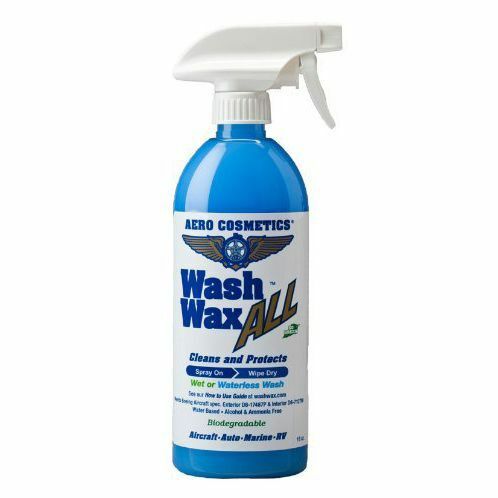 This 16-ounce bottle of concentrate can make 256 ounces of waterless wash solution when diluted properly, and at less than half the price of the Aero Cosmetics product, it's by far the best value on this list. $0.20 per ounce (once diluted, includes towels) Aero Cosmetics provides a high-quality spray bottle and four microfiber towels with its concentrate. Once again, Shine Supply doesn't get any love. Priced well, and allows for use in a pressure sprayer (the kind used for weed killer and bug spray concentrates) to remove dust and minor dirt more effectively. No mention of Optimum No Rinse?! Chemical Guys, really??? No ONR and no Ultima Waterless Wash means this list is not a true comparison of the best. Just of note, I don't always agree with what's written/posted. I only list to get more reliable input from enthusiasts. So many products, just not enough reviews. Can’t believe there is no mention of Ammo Frothe. It differentiates itself from all of the products on the list and I can personally say works far better than all of the products on this list! Switched form No Rinse to CarPro ECH20 and am happy with the switch. less streaking on my Shadow Black. Car gets wiped down with the ECH20 way more than it gets washed with water since mostly it's just dusty. Unless you have a foam cannon. In which case: rinse, foam, rinse, foam, mitt, rinse is the way to go. While more time consuming, the results are fantastic. When I owned a black car, I soaked it with ONR prior to that first foam step. The paint looked amazing, but it also pushed me to get a lighter colored car next time. [poll] The best color for the Focus RS is..